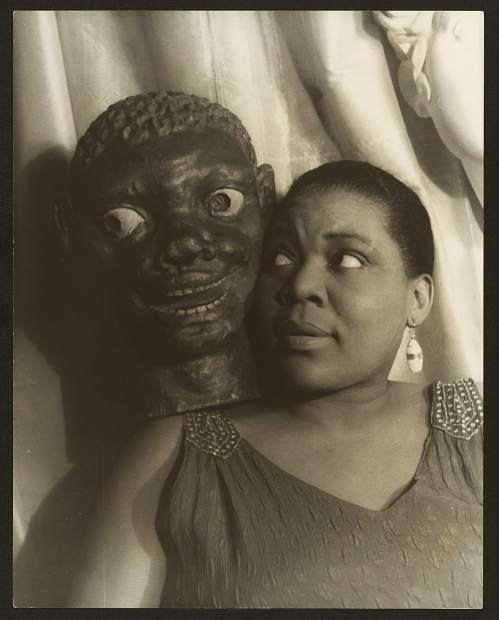 Bessie Smith is among the most famous jazz musicians to have ever lived. She has influenced musicians the likes of Janis Joplin and Tina Turner. The world of jazz has had a disproportional number of famous but eccentric performers. Of course, many being African-American, they were the subject of overt discrimination, and in the early years of jazz, all the musicians, black or white, were seen as undesirables, outside the mainstream of society, playing the devil’s music. Out of the crucible of their musical lives, branded by society’s negative stereotyping, some were able to rise to positions of fame, but only a few were ever able to combine their artistry and popularity with any level of financial success. While the “jazz life” became exotic and appealing to many outsiders, and of course the 1920s became known as the “jazz age,” it took many more decades for jazz musicians to gain the respect readily afforded other artists. Names such as Armstrong and Ellington dominated the world of popular music by the mid-20th century and in the last hundred years, jazz has gone from an underground music played by uneducated but extraordinarily talented musicians to a musical genre prized throughout the world, formally studied at music conservatories around the globe. A biracial man born in New Orleans in 1890, La Menthe was a ragtime piano player in the bordellos of New Orleans. Besides being a musician he was also a pimp, gambler and pool shark and was extremely arrogant, adopting his nickname because it was slang for the female genitalia. Credited with being the first important jazz composer, he fused ragtime with the African-American culture that was evolving in New Orleans into the beginnings of jazz and he famously claimed to have been the inventor of jazz … a claim that most musicologists reject. Known as the “Empress of the Blues,” a title she unfortunately earned, was one of the most popular female singers in the U.S. during the 1920s and 1930s. Touring in her own railroad car, she was the highest paid African-American entertainer of the era. Orphaned at age 9, she was bisexual and her personal life was a shamble of failed romances and liaisons with hustlers. Bessie was only 43 when she was tragically killed in a car accident. Her legacy lives on as she influenced generations of jazz and pop (notably Janis Joplin) vocalists. Monk was a legendary pianist and composer who was initially branded as crazy. His strange name, weird hats, propensity to get up from the piano and twirl while other musicians played, combined with an introverted nature when off the bandstand didn’t help. But slowly, he and his music were accepted and gained much respect, ultimately appearing on the cover of Time Magazine. One of the most influential saxophonists in jazz history, Young was highly unorthodox. He had a unique sound and style of play; he held his sax off-center toward a horizontal position. He wore zoot suits and his distinctive “pork pie” hat and invented and used a complete hip jazz vocabulary. The film “Round Midnight” was largely based on his life. Each of these greats made important contributions to jazz and shaped the music for generations to come. Here’s to eccentricity.